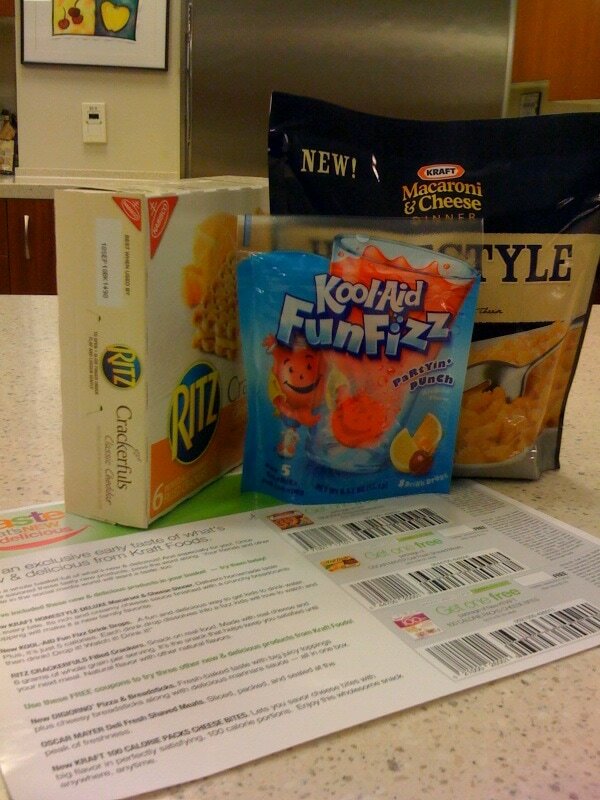 Kraft sent me a little package this week to try out some of their new product line. New KRAFT HOMESTYLE DELUXE Macaroni & Cheese Dinner: a delicious homemade taste complete with a crunchy breadcrumb topping. New KOOL-AID FUN FIZZ Drink Drops: a fun and delicious way to get kids to drink water with only 5 calories per serving. RITZ CRACKERFULS Filled Crackers: made with real cheese and 6 grams of whole grain per serving to help keep you satisfied. I wish I took a picture of the mac and cheese after I made it. It looked like it came from a restaurant! Breadcrumb toppings?! What? The kids went nuts over the new taste. If you want something in your pantry for those nights where you need to whip up a tasty quick treat… consider this buy. Also wanted to talk about the Kool Aid Fizz drops. I have one every night after the kids go to bed. I can’t have any caffeine after a certain hour (yes, I’m getting old) and for 5 calories a pop, this is a great solution! You are supposed to use 8 oz of water, but I end up doubling it to 16. The crackers came and went – literally. My in laws loved them so much that they swiped the box! LOL. I didn’t even have a chance to taste them, so I can’t really comment on the flavor. Hey -just being honest. Thanks for sharing about the new mac and cheese. My daughter would eat macaroni every day for every meal if she could. Looking forward to trying it.